As a structural engineer, Richard Weingardt has worked on projects including Harrah’s New Orleans Casino, the National Cowboy & Western Heritage Museum and the terminals at Denver International Airport. Since then, he’s not only traveled the world to ride some of the planet’s most iconic observation wheels, he’s also authored “Circles in the Sky,” a 2006 biography of George Ferris, the innovative engineer who created the first such wheel for Chicago’s Columbian Exposition back in 1893. Not surprisingly, Weingardt is excited about the two wheel projects currently in the works in Las Vegas. While waiting for one or both of those to open, he shared his thoughts on other great places to take a spin. 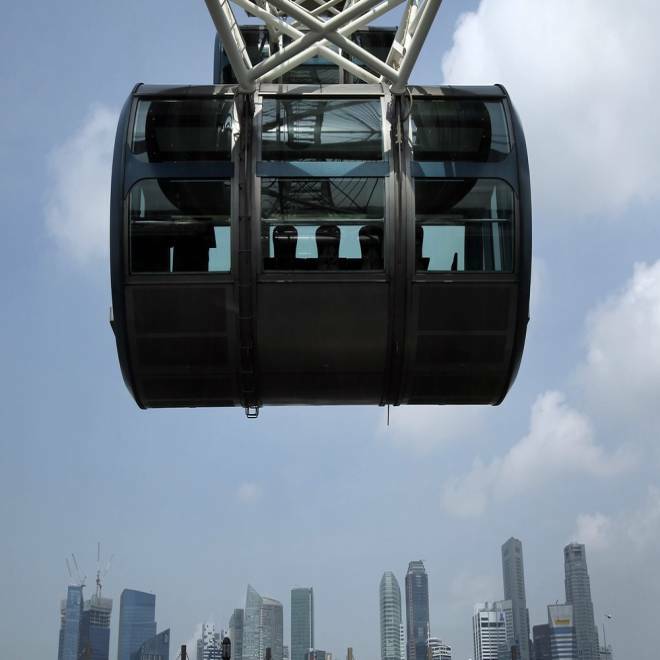 A capsule carrying tourists on the Singapore Flyer with the financial district's skyline in the background is seen Aug. 16, 2011, in Singapore. The current world champion rises 541 feet above Singapore’s Marina Centre complex. “It offers the best panoramic view of any wheel out there,” said Weingardt. “From the top you can see across the water to Indonesia and Malaysia.” Enjoy a Singapore Sling along the way and the wheel won’t be the only thing that’s spinning. 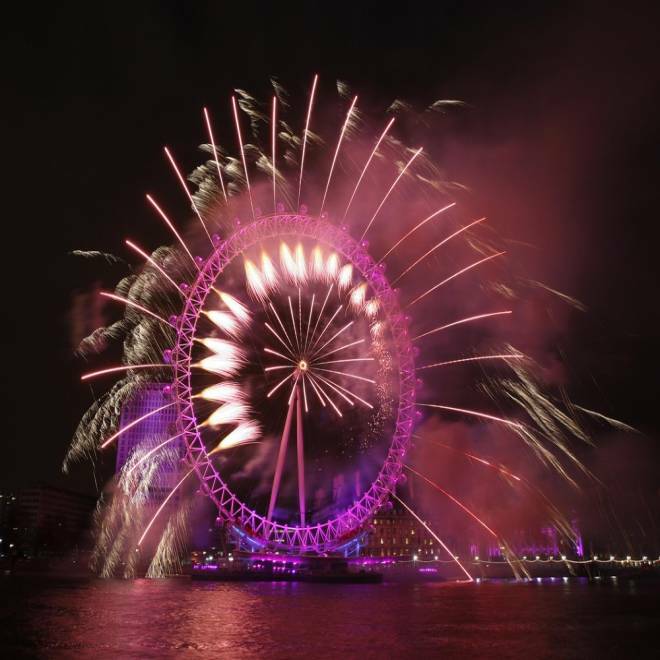 Fireworks explode in front of the London Eye on the River Thames Jan. 1, 2010, during New Year celebrations in London. 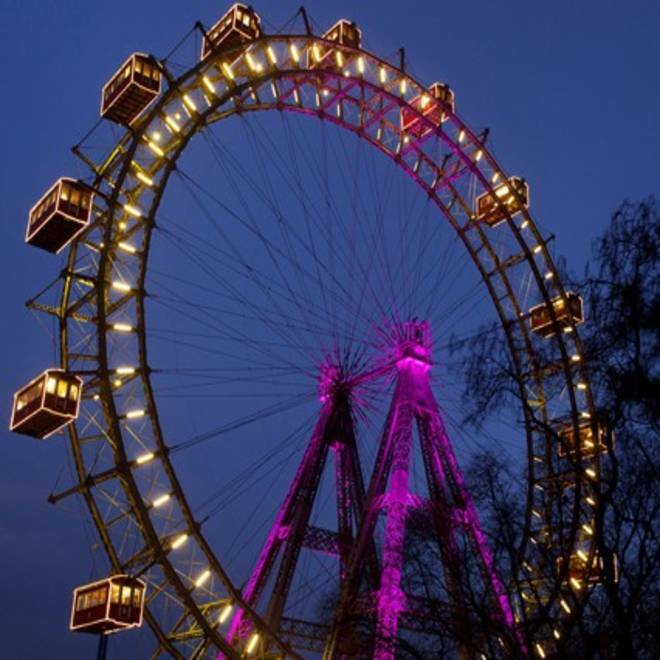 Wiener Riesenrad in Vienna, Austria, is the world's oldest continually operating Ferris wheel. The oldest (1897) continually operating Ferris wheel in the world, this ride looms over the entrance of Vienna’s Prater amusement park. “It’s become one of the wonders of Vienna,” said Weingardt. “It’s like riding history.” At 212 feet, it’s hardly the tallest, but it’s almost certainly the only one on which you can enjoy a candlelight dinner for two in a Swarovski-designed capsule. At 212 feet, the Texas Star is the tallest Ferris wheel in the U.S., but it only operates for less than one month a year during the State Fair of Texas. 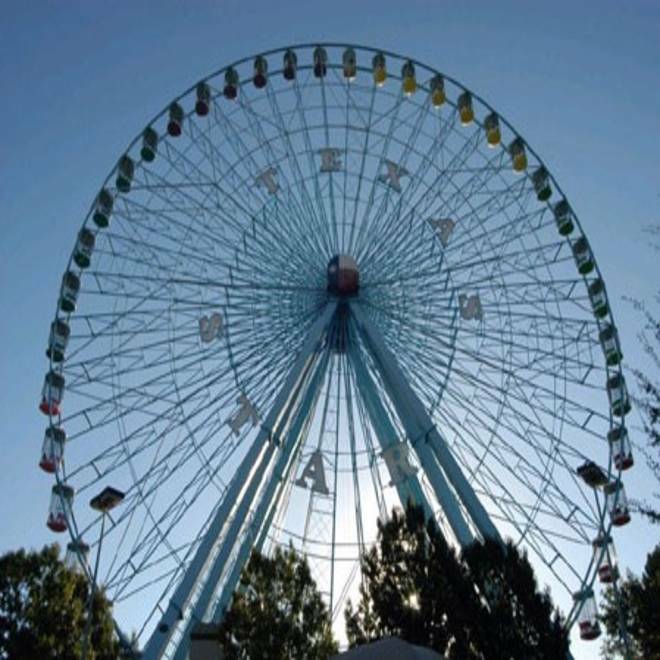 Located in Dallas’ Fair Park, the Texas Star (212 feet) is the tallest Ferris wheel in the U.S. “On a clear day you can see Fort Worth,” Weingardt said. “It’s one every American should ride.” Don’t dawdle, though; the Star only operates during the Texas State Fair, which runs Sept. 30–Oct. 23 this year. 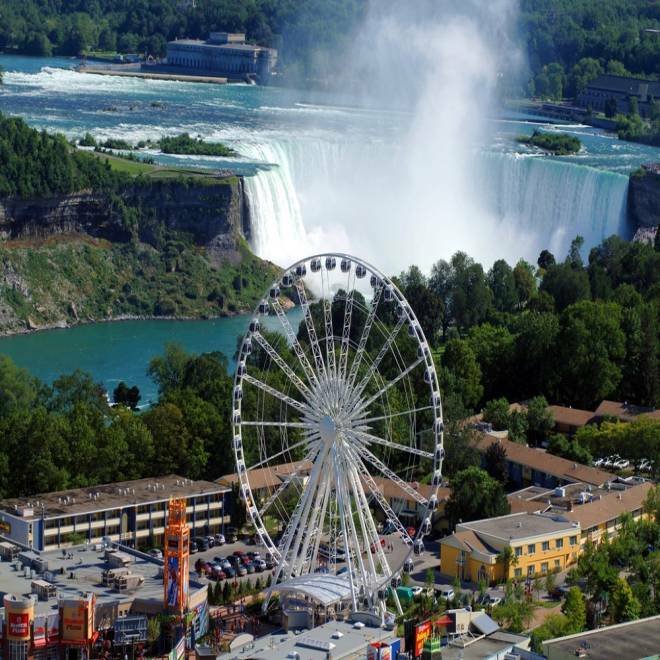 The Niagara SkyWheel overlooks both the American and Horseshoe falls. 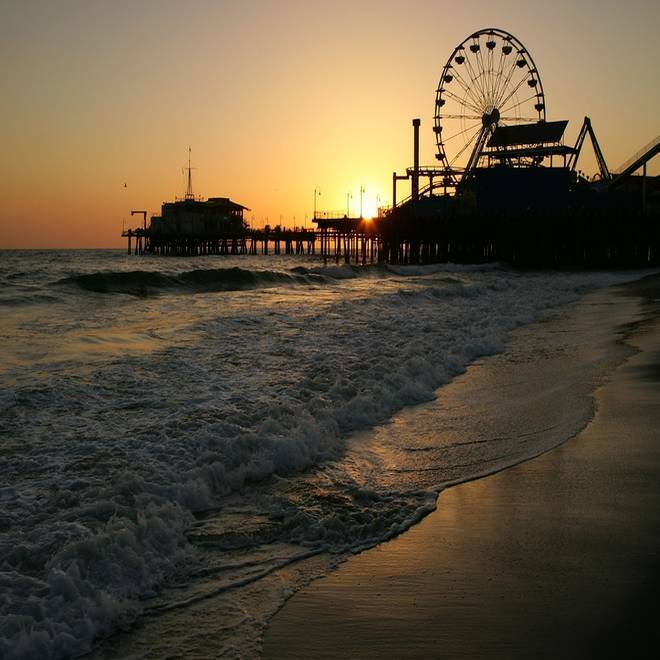 The Pacific Wheel on the Santa Monica Pier has appeared in countless television shows, feature films and commercials. At 85 feet high, the signature attraction on the Santa Monica Pier is nowhere near the world’s tallest Ferris wheel, but it may be the most blinged-out thanks to 160,000 LEDs that can be configured in endless color combinations. “It’s very impressive at night,” said Weingardt — and even more so when you realize the lights and the wheel itself are solar-powered. Want to combine your ride with a little shopping? Head to the Hankyu Entertainment Park (HEP) in Osaka, Japan, and you can hit more than 100 stores, then climb on board the mall’s rooftop observation wheel (246 feet above the roof, 348 feet above the ground). Unlike many wheels, said Weingardt, the capsules dangle from protruding ribs, making the view even more breathtaking.